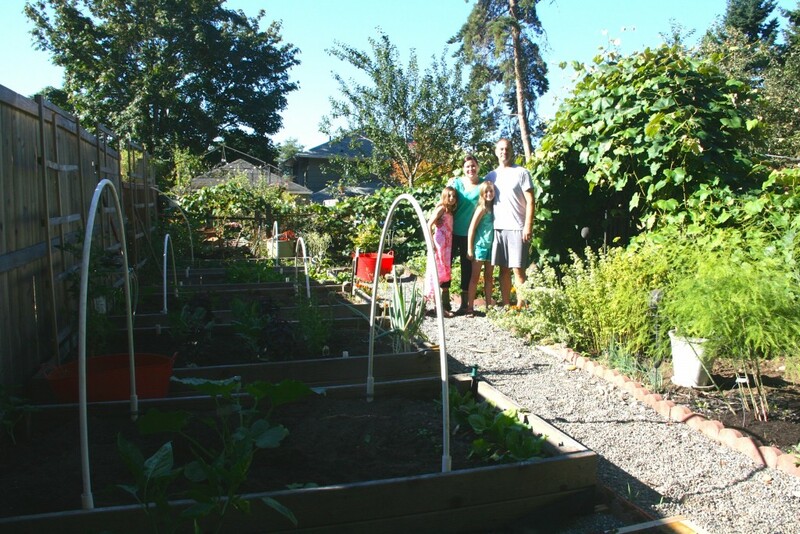 The Howell family garden in Manette. 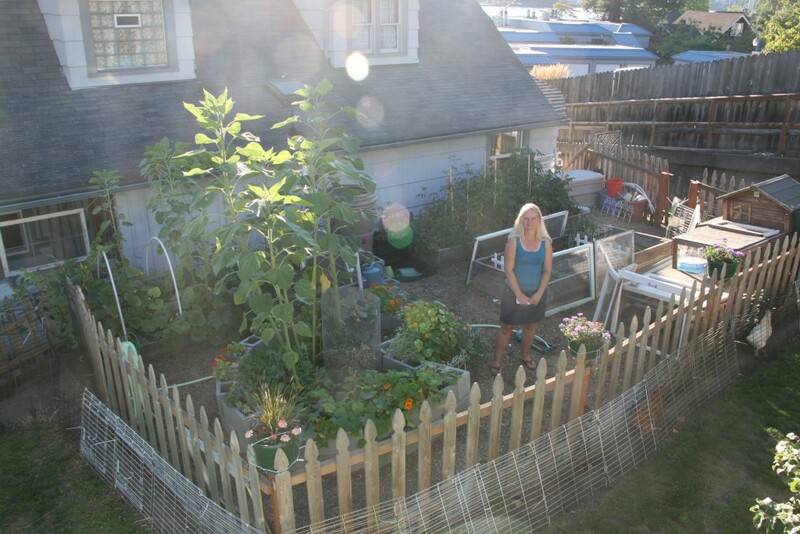 One of my favorite events of the whole year in Bremerton is the Manette Edible Gardens Tour de Coop. The third annual event returns Saturday with a dozen gardens to tour, art to see and live music to listen take in — all within a (hilly) walk. I got a sneak peak at three gardens — two of them brand new to the event — and will give you a little taste of what you’ll see on Saturday. Dave and Tanya Spoon have done a lot of volunteer work in Africa for local charity Children of the Nations, and it serves to inspire their green spaces just off Wheaton Way near the Manette Bridge. The centerpiece is a “Keyhole” garden they’ve seen in their travels around East Africa. It consists of a central composting pile that, as it degrades, serves to nourish the carrots, cucumber, kale and sunflowers that encircle it. The Spoons also have chickens, whose run actually surrounds their garden beds. The perimeter they form keeps out slugs and bugs, which the chickens eat. The couple, which has lived at the home since 1995, also has installed a rain collector, which has offset their water use by more than 80 gallons. The New Life Assembly garden. A 60×20 foot slab of concrete next to New Life Assembly on Ironsides has been transformed this year, for the first time, into an organic garden. Jackie Swanson, who has attended the church for six years, had the idea in January. Already, the gray concrete has been turned to green with the area covered in raised beds. All produce grown there, including a long line of upside down cherry tomato plants, is donated to the Kitsap Rescue Mission (18 pounds of snow peas was their first donation). Other than watering, she’s been using old coffee grounds as a way to recycle them — slugs hate the grounds and they put nitrogen into the soil. Swanson said they’ve had a lot of help from local organizations, businesses and neighbors and plans to expand the garden as far as she can. “We’re going to use every square inch,” she said. 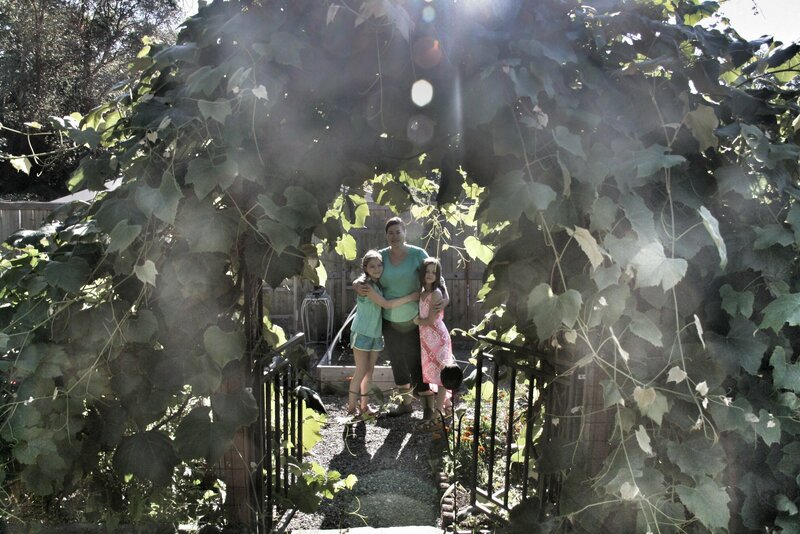 The Howell family’s Cascade Trail home endured a failed septic system after they bought the property eight years ago, and slowly they’ve morphed their once-torn up backyard into a pastoral setting complete with a grapevine-encircled garden and a line of apple trees. Mounds of dirt behind their house revealed debris including a chair lift. But once they cleared it, they planted the beautiful grapevines and, two years ago, installed raised beds that are now filled with fruits and veggies. Their home is featured on the tour for the first time this year, and they’ve added some new additions on the occasion — namely, a chicken coop. One of their hens, named for Professor McGonagall of the Harry Potter world, just laid the family’s first egg. So, how do you get to see these gardens, and nine others like them? Start at the New Life Assembly parking lot, 1305 Ironsides, between 9:30 a.m and 1 p.m. (I’d go earlier rather than later.) Bring a donation ($5 is suggested and is a small price to pay) and buy some raffle tickets for local prizes if you’re feeling lucky. You’ll get a map of the garden locations and tour button and are free to trek to each on your own. Look for artists and gardening teachers at each site. There will also be Garden Bingo, sponsored by the Kitsap Regional Library and the Kitsap Volkssporters walking club will also lead their own walk through the neighborhood. 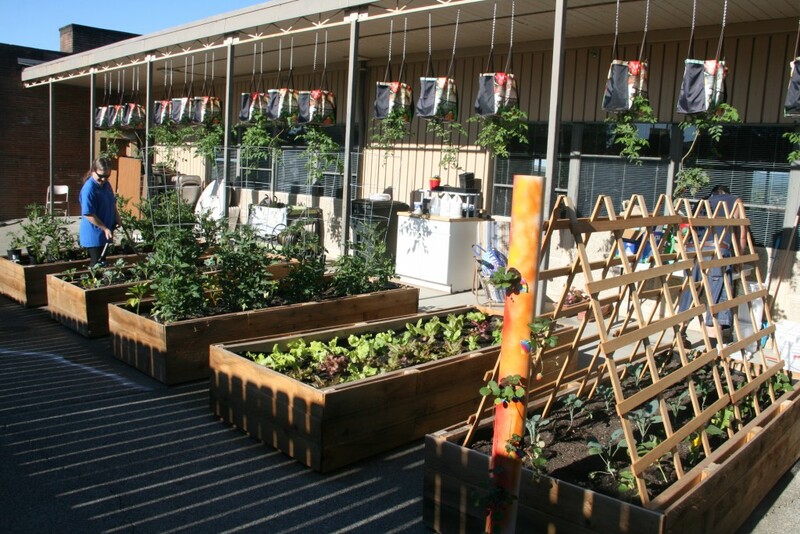 If you’re interested in growing food in urban spaces, this tour is not to be missed. Thanks for the Kitsap Volkssporters mention. We have year-round walks throughout the County. We also typically host group walks on the 1st and 3rd Saturdays @ 9:15 am. The Manette Garden Tour Walk was our second “Event” walk of the year. Please call Ric @ 360-516-6550 for more info.